Tool steel refers to a variety of carbon and alloy steels that are particularly well-suited to be made into tools. Their suitability comes from their distinctive hardness, resistance to abrasi on, their ability to hold a cutting edge, and/or their resistance to deformation at elevated temperatures (red-hardness). 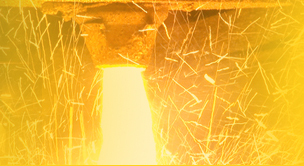 Tool steel is generally used in a heat-treated state. With a carbon content between 0.7% and 1.4%, tool steels are manufactured under carefully controlled conditions to produce the required quality. The manganese content is often kept low to minimize the possibility of cracking during water quenching. 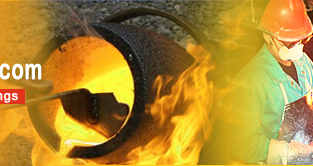 However, proper heat treating of these steels is important for adequate performance, and there are many suppliers who provide tooling blanks intended for oil quenching. Tool steels are made to a number of grades for different applications. Choice of grade depends on, among other things, whether a keen cutting edge is necessary, as in stamping dies, or whether the tool has to withstand impact loading and service conditions encountered with such hand tools as axes, pickaxes, and quarrying implements. In general, the edge temperature under expected use is an important determinant of both composition and required heat treatment. The higher carbon grades are typically used for such applications as stamping dies, metal cutting tools, etc. Tool steels are also used for special applications like injection molding because the resistance to abrasion is an important criterion for a mold that will be used to produce hundreds of thousands of parts.